Buying Bean Bags in Bali? You May Want to Think Twice. After New Zealand, the United Kingdom and the United States, Indonesia is the most popular travel destination for Australians. If you’re planning a summer getaway this year, there’s a good chance that you’ll visit Bali. While you’re there, you’ll no doubt notice the fact that many of the resorts use bean bags for outdoor seating. 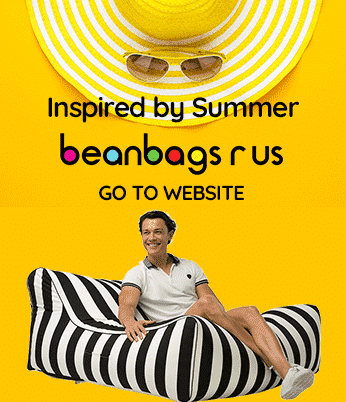 Bean bags are fashionable and comfortable. When they have covers designed for outdoor use, they’re water resistant and easy to wash. You may even think about taking one home with you. A customer recently asked us to fill a bean bag purchased in Bali. Upon examining the bean bag, we determined that we couldn’t fill it with a clear conscience because it didn’t conform to Australian safety laws for bean bags and could even be deadly under certain circumstances. One of the best aspects of travelling overseas is that you can buy certain products for much less than you’d spend domestically. If you’re considering buying bean bags in Bali, though, you should think twice. Here’s why. The Australian Competition & Consumer Commission has established strict safety regulations for bean bags sold in Australia. The safety regulations exist because the filling in bean bags can be hazardous if inhaled or eaten. At least five children have died after crawling inside bean bags and suffocating. The filling in a bean bag restricts airflow and presents a choking hazard. In the United States, authorities have recalled millions of bean bags due to potential safety hazards. If a company manufactures or sells a bean bag in Australia that doesn’t comply with those guidelines, a significant fine may result. Making a safe bean bag may cost a little more, but we believe that the expense is worth it. The law also requires us to sell a safe product. If you see a bean bag in Bali that costs a bit less, you should examine it closely. Why do you think it has a lower price tag? As of 2017, $100 in Australian dollars equals more than 1.05 million Indonesian Rupiahs. 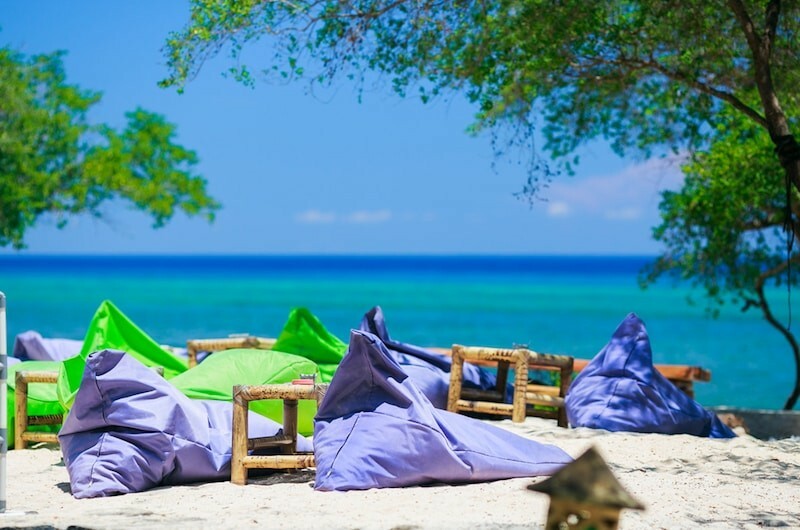 Given the exchange rate, it’s easy to look at the prices when buying bean bags in Bali and assume that you’re getting a great deal. The truth is that — especially when you consider the cost of exchanging dollars to rupiah — Indonesian bean bags often cost more than their Australian equivalents. Not only may you pay more if you buy a bean bag in Bali, but you may also get a bean bag that doesn’t conform to Australian safety laws. When people stay at beachfront resorts, they have high expectations for quality. In particular, pool and beach furniture should be immaculate as those are areas in which many of the guests will spend much of their time. Maintaining the appearance that guests expect often means that a hotel needs to discard items that look worn. When a bean bag tears or shows signs of mould growth, the hotel discards it and buys a new one. As much as you may like a particular bean bag at a resort in Bali, you don’t truly know the quality of the materials. A good bean bag should use a strong material that resists tearing. The bean bag should also have treatments to repel mould and prevent the colour from fading due to sun exposure. When you buy bean bags from a domestic company that adheres to Australian regulations, you’ll have the confidence that comes with knowing that someone is accountable for your safety and satisfaction. If you find a defect in the construction of your bean bag — or it fails within the warranty period — you can return or replace it. Overseas companies may not play by the same rules. If you experience a problem after buying a bean bag in Bali, you may have difficulty contacting someone who can resolve the issue. Your bean bags may have no warranty at all. Even if the seller does offer a warranty, shipping the bean bags to the seller will be prohibitively expensive. Australian laws regarding bean bags exist for a very good reason. With the proper safety precautions, bean bags are very safe. If a small child opens a bean bag, though, the results can be disastrous — so Australian sellers of bean bags take steps to keep children safe. If you buy a bean bag in Bali or elsewhere overseas, you’re buying from a company that doesn’t have to adhere to Australian law. You’re also getting a product that may use inferior materials and may not come with support or a warranty. Buy from an Australian Company if you want the best product with the highest safety standards.